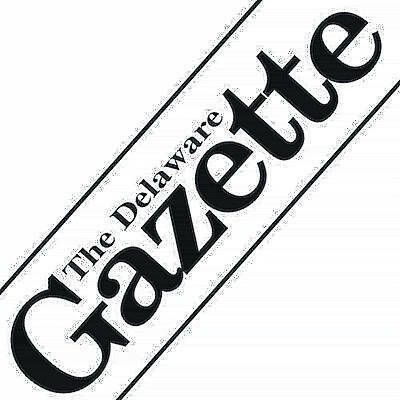 The Delaware Christian boys basketball team bounced back with an impressive 60-47 victory over Genoa Christian in non-league action Saturday night in Delaware. It followed the worst loss of the season – a 53-32 decision at Tree of Life Friday night in which nobody cracked double figures for the Eagles. Coach Jon Landrum decided it was time to forget about every season-long goal the team had coming into the year, including wins and losses and league titles. None of that matters anymore. At this point, it’s about the short term and there’s only one goal: get better today. Freshman Nathan Stewart scored 14 points in the first half and led the way with 18 points. Siebert scored 10 of his 15 points in the second half, including the go-ahead three-pointer in the fourth quarter that gave the Eagles (1-5) the lead for good. “I knew that was my shot and I was going to knock it down,” he said. Siebert scored five of the team’s seven third-quarter points as DCS built a 10-point lead. But, Genoa Christian chipped away and cut it to two by the end of the frame before tying the game 45-45 on a Connor King basket early in the fourth. Stewart found Siebert in the corner for the go-ahead three-pointer, which started a 15-2 run that ended the game. Injuries have been a factor in the Eagles’ slow start this season. Ike Hedges (eight points) and Issac Rindfuss (seven points), who was the team’s top returning scorer off of last year’s squad, are both returning after battling injuries early in the year. So, DCS never got out of the gate, dropping its first five games, including three in the MOCAL. The Eagles finished second last season after sharing a league title two seasons ago. Siebert, along with fellow captains Rindfuss and Jon Comer decided it was up to them. “We came together before the game and decided that we were going to keep everybody’s heads in the game – try to keep the younger guys engaged,” Siebert said. Caleb Logan led the Lions (2-3) with 16 points and Ben Stanhope and C.J. Bartley added 10 points apiece. Next, DCS continues non-league play when it hosts North Union Friday night at 7:30 p.m.
Dylan Herbert scored 16 points, Clark Newland had 14 and Austin Richard added 12 in Buckeye Valley’s MOAC loss to Ontario Saturday night in Delaware. The Barons (1-5, 1-2) dropped their third straight game. Chance Mott scored a game-high 21 points to lead Ontario (4-0, 3-0). There were a couple of excuses that Delaware Christian coach Jackie Boggs could have used to explain the Eagles’ 44-29 loss at home to Genoa Christian in non-league action Saturday night. Leading rebounder and scorer Lyssi Snouffer was in Kansas City participating in the American Volleyball Coach Association College Prep Program after being named to its Phenom Watch List this year. Semester exams are coming up next week for the DCS students. But, Boggs wasn’t having any of that. Genoa Christian used a 12-5 start and opened up a 16-7 lead in the second quarter and never relinquished control. From there, the Eagles never got as close as four before the Lions closed the game with a 14-5 fourth quarter to blow it open. Taylor Lee led the Lions (3-4) with 16 points and Anna Hoover added 13. Abbi Maurer led with 13 points and Nikki Sneddon added nine for the Eagles (2-4), who dropped their fourth game out of their last five. DCS is off until Jan. 2 when it travels to Johnstown Northridge in non-league action. Katie Cochran’s 17 points led all scorers, but the Golden Eagles (4-3) dropped their third straight game in Saturday’s loss at Hartley. Amaiah Jones and Kennedy Taylor had 15 points apiece to lead the Hawks (6-1) and Jordan Kaylor added 10. Abby Facemyer had eight points for BW. The Barons were outscored 19-4 in the second quarter of Saturday afternoon’s loss in Westerville. Alaina Radcliffe had 12 points to lead BV (4-4) and Morgan Scowden added eight. Najayah Shepherd had 10 points to lead the Warhawks (6-0), who had five other players with seven points or more in a balanced scoring effort. Jessica Walker and Jordan Lantz scored eight points apiece and Katie Smith added seven for the Pacers (3-2), who rode a 13-3 first quarter to victory Saturday night in Columbus. Whitney Staggs had a game-high 21 points for Whetstone (5-2).